Amanda Goodsell is a Regional Color Coordinator for John Paul Mitchell Systems and a stylist at M Hair Studio in Nashville, Tennessee. She wakes up every day proud of the career she has built and she loves her day-to-day work, which involves coloring, styling and educating. Preview: Fashion colors are a huge trend right now. 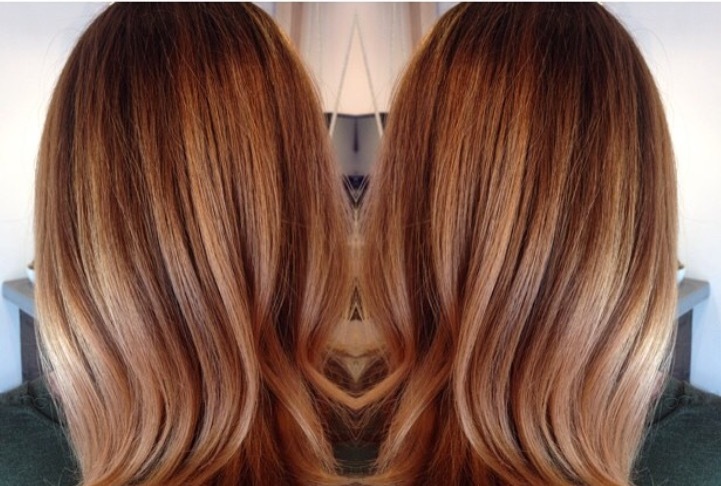 A great way to transition that trend into the warmer months is to upgrade your number one summer salon service—Blonding—by painting a bright color onto the roots of your lightener loving guests. Fashion colors are a huge trend right now. 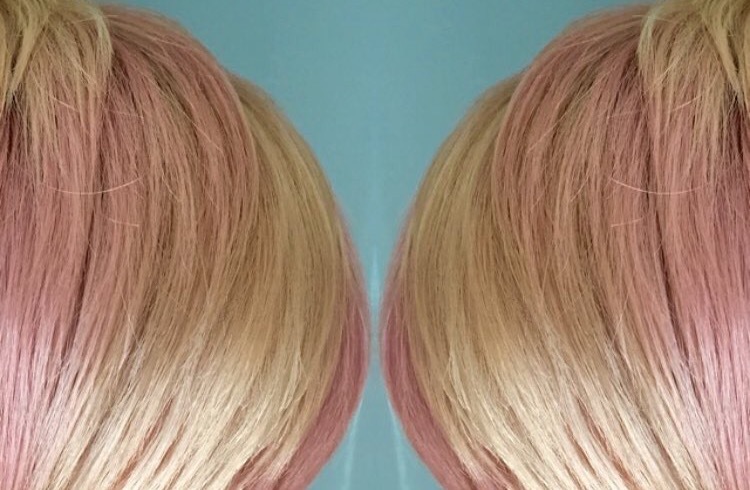 A great way to transition that trend into the warmer months is to upgrade your number one summer salon service—Blonding—by painting a bright color onto the roots of your lightener loving guests. The most important step to ensure that this technique turns out correctly is lightening and toning the canvas first. Once you have achieved a pale yellow result, use the appropriate toner to make sure all warmth is removed and you have an even canvas. This will ensure that the fashion color comes out evenly since any pigment left underneath will reflect through. Now you are ready to paint your guest’s choice of fashion color at the base. When painting it on, you want to be sure to avoid any harsh lines by turning your color brush to the side and using the same type of brush strokes that you would for hair painting, only in this scenario you are painting down the hair strand rather than up. 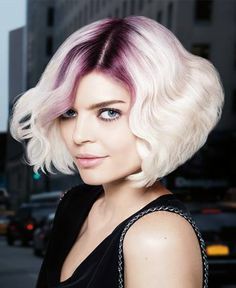 If your guest wants a distinct difference from the fashion color and she is blonde, proceed to rinsing the fashion color off quickly with cool water to prevent bleeding. If your guest wants the end result to transition from the fashion color to the blonde, take a wide tooth comb and pull the fashion color down the strand a few more inches about two minutes prior to rinsing. Don’t forget to send your guests home with Forever Blonde® products to ensure that their lightened hair remains healthy and that their fashion color stays true and vibrant for as long as possible! For more business tips, click here. 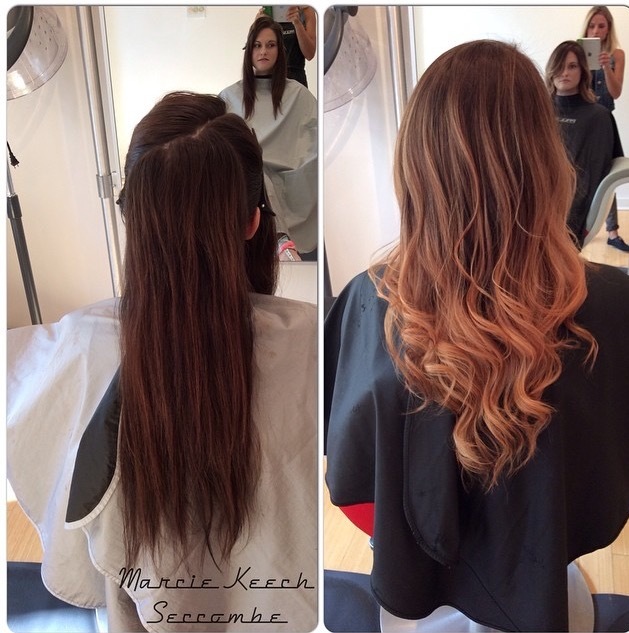 Fall is the season of change and there is no better way to change up your look than with a fresh new hair color! 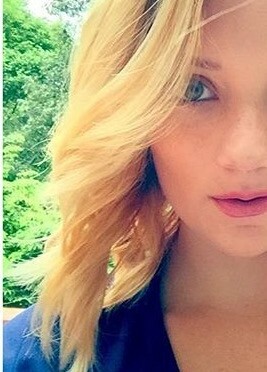 Redheads always turn heads in the cooler months and 2016 is no different. This year’s red trend is being labeled as Ronze. It is the perfect blend of coppery red and rich brown, and will enhance any skin tone. Darker complexions should go with a deeper cooler shade of Ronze, medium skin tones look best in more golden hues and pale complexions can pull off the most vibrant versions with lots of copper. 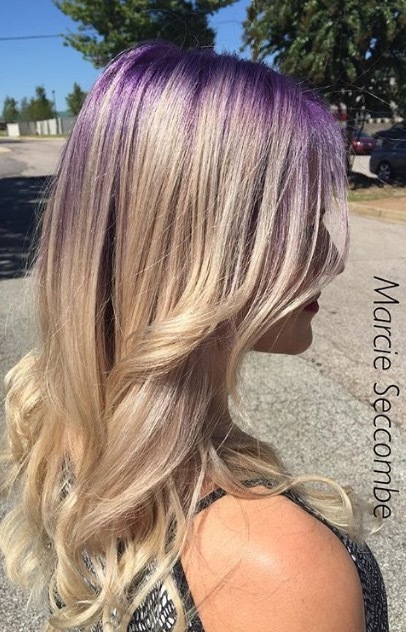 If you’ve been rocking hand painted highlights all summer, the best way to change it up for fall is to give the dip dye trend a try. 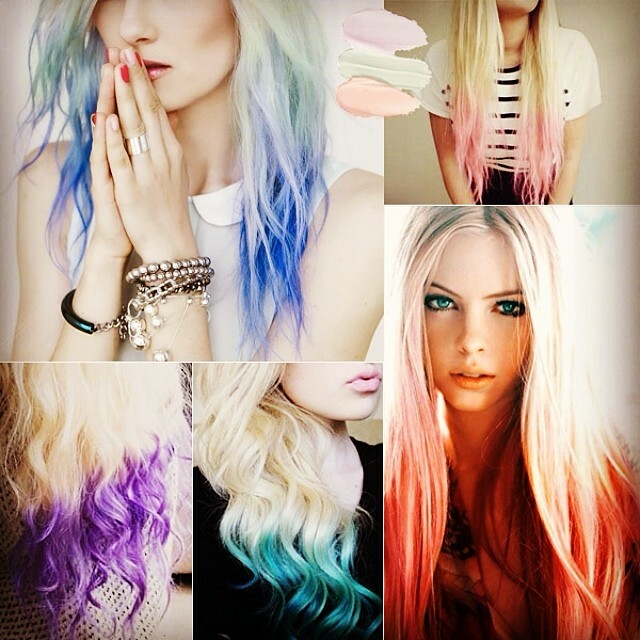 Dip Dyeing involves adding a pop of vibrant pigment to the ends of your hair that are already blonde. Dip Dyeing is a temporary change, so you will have the option to try different tones or transition back to blonde quite easily. 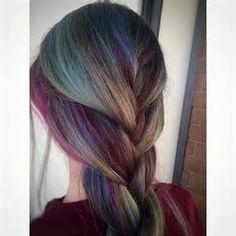 The best part is that, just like hand painting, it is very low maintenance because there is no change made to your natural hair color growing in at your base. 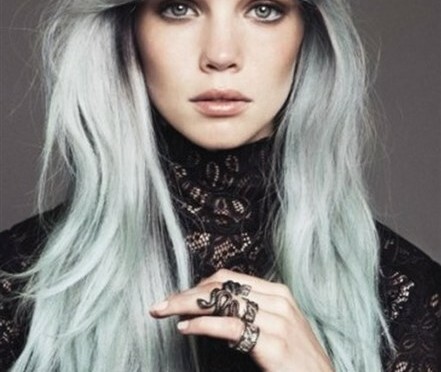 Brunette ladies, are you ready to finally play around with some pastel shades? You’re in luck this fall, thanks to the oil slick trend. 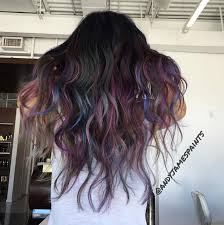 Oil Slick hair allows you to keep your darker base and uses deep purple and green tones to add dimension. 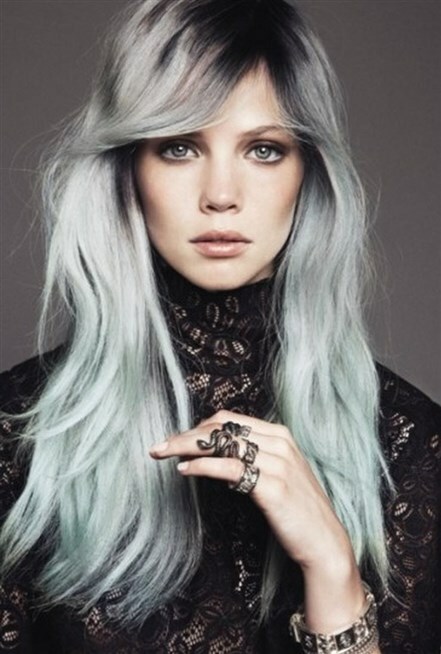 This look still does require some lightening but not as much as the pastel tones that were popular all summer. So whether you’re looking for something a bit more traditional, like a beautiful shade of Ronze, or something a little bolder like Dip Dye or Oil Slick, this year’s trends have something for everybody. Just remember to visit a professional stylist and bring lots of pictures to ensure an outcome that you’ll be in love with. For more inspiring tips and color trends, click here. Bohemian fashion is taking over every runway and boutique window, and it’s even filtering into my own closet which is usually much more reminiscent of vintage 40’s and 50’s attire. So if this new trend has all of our salon guests wearing fringe, lace and maxi dresses, how do we incorporate this relaxed, informal style into their hair? For me, it starts with hair-painting. This color trend swept through our industry last year and is here to stay. 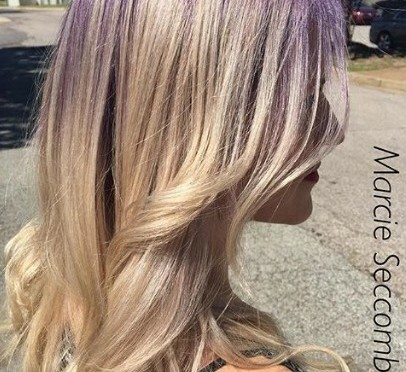 It has transitioned from the grown-out ombre technique into a perfectly blended color in every tonal pallet. 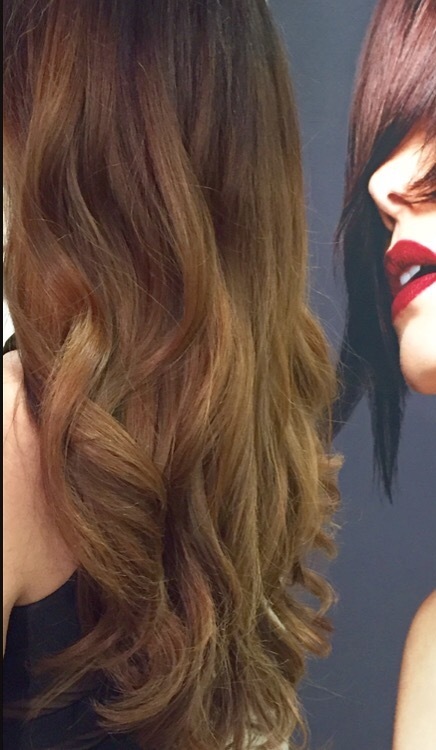 I love to create this look by first using SynchroLift® and then applying PM SHINES® for a shadowed root. 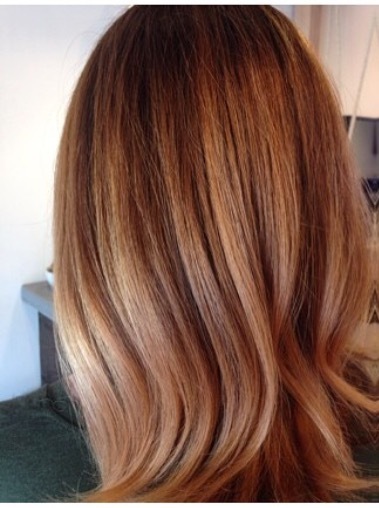 It makes the perfect translucent tone over the pre-lightened hair. Another great way to help our guests look as boho as possible is to show them the power of a middle part. Teach them how to do a few simple braids and show them how to use a clipless iron. The NEURO® UNCLIPPED STYLING CONE is the perfect tool to create lived in texture and imperfect waves. Summary: A bohemian summer is definitely in the forecast, so here’s to hot weather, long nights, campfires and days spent on the water. Whether it’s highlights, all-over or hand-painted color, we know that blonding is (and probably always will be) one the of the most popular in-salon services. But, getting that perfect shade can be tricky. Some of my most helpful tips are: choosing the right lightener/developer combo, treating the hair after lightening and selecting the appropriate toner. Paul Mitchell® makes three great lightening options: DUAL-PURPOSE LIGHTENER, SynchroLift™ and Lighten Up®. The most common one that I choose is Synchrolift. I enjoy the creamy consistency and the fact that it resists swelling. And my guests love that it has zero fragrance, making it a great choice for foil work or painting. I typically choose DUAL-PUPROSE LIGHTENER when I am trying to break through a lot of previous color. Lighten Up is gentler and will only lift a maximum of five levels, so it’s great for lighter levels and finer textures that don’t need something incredibly powerful. When choosing developer, remember that your volume controls how fast you lift, not how light you get. A 5 Volume will result in the same amount of lift as a 40 volume, but your 40 volume is like taking the freeway and the 5 Volume is like taking the back roads. 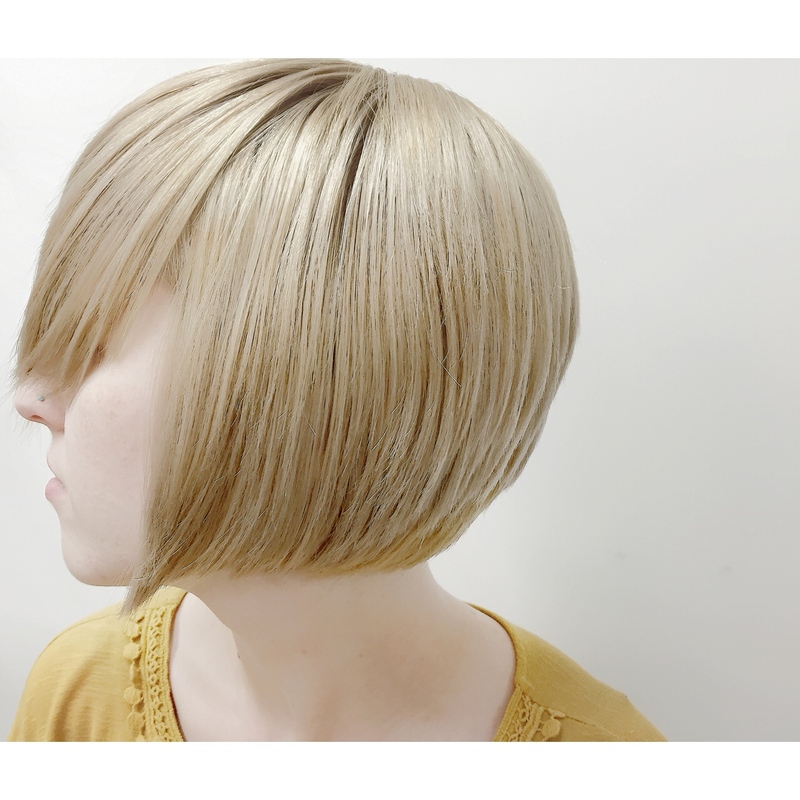 If I am doing a full head of foils that I know will take a while, I will choose a lower volume developer, and if I am doing something that I know will only take me a few minutes, I will choose a higher one. I never choose higher than a 20 volume for on-scalp lightening because the heat from the scalp will cause a quicker lift and anything higher than that could cause scalp irritation. If I am doing hand-painting that will be exposed to the air, I will usually choose a higher volume developer because the lightener will stop working and will dry out more quickly because it is not inside of a foil or other material. After I have successfully lightened the hair to where I need it to be, I make sure to completely rinse the lightener out (I do not shampoo at this point) and then I apply a treatment to the hair. Applying a conditioning treatment will even out the porosity and make the hair stronger, allowing the toner to take more evenly and last longer. My two favorites are Awapuhi Wild Ginger® Keratin Intensive Treatment® and MarulaOil Rare Oil Intensive Masque. The Keratin Intensive Treatment rebuilds and repairs hair, improves texture and adds moisture and shine. The Rare Oil Intensive Masque hydrates, smoothes and softens dry, coarse hair and adds fullness to fine, limp hair. After the treatment has been on the hair for about 5-10 minutes (the perfect amount of time to mix up the toner), I rinse the treatment and apply my chosen toner. When choosing which toner to use, I compare my options to women’s leg coverings; leggings and black or skin-colored pantyhose. If a woman wants to completely cover her legs she is going to choose something solid and opaque, like leggings, to do the job. And if our blonde has lightened unevenly or has a lot of strong dominant pigment left, you need something solid and opaque to cover or tone it. 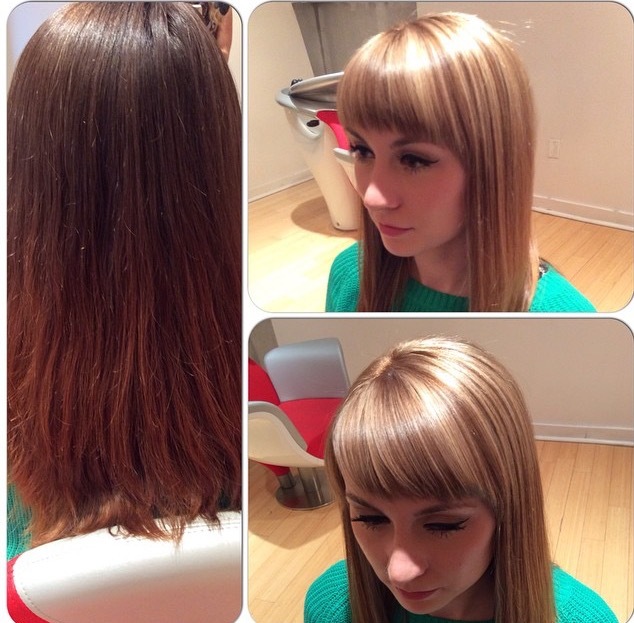 In this case, Paul Mitchell® THE COLOR or the color XG® would be your best option. If a woman wants to cover her legs but still leave some translucency, she would choose black or colored pantyhose, and if your blonde has lifted a bit more evenly and doesn’t have as much dominant pigment left, choosing a more translucent toner, like shines XG® or PM SHINES® would be a great option. If a woman has great legs and just needs a subtle, sheer covering, she would choose the skin-colored pantyhose. And if your blonde lifted beautifully and only needs minor correction, Flash Finish®, the sheerest of toners would be your best option. 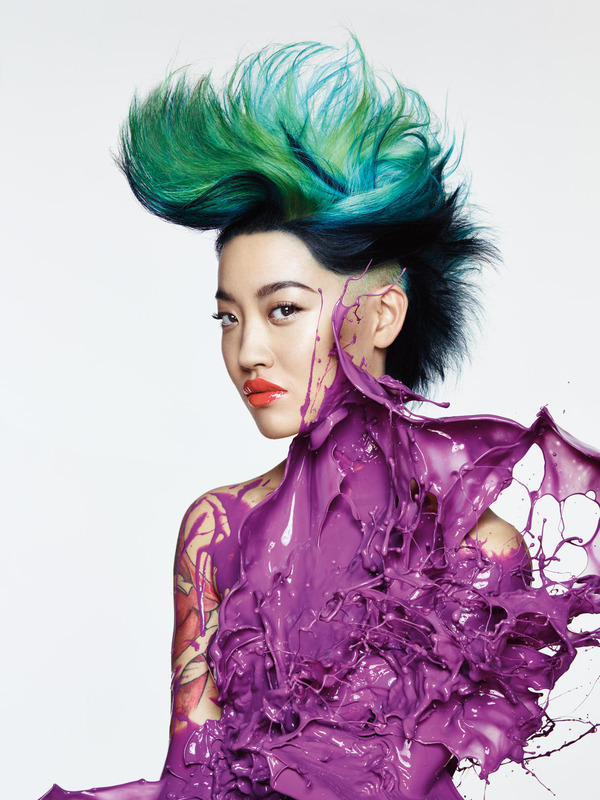 The For Art’s Sake Collection offers four different color and cut techniques that are spot on with the bold color trend that is so prevalent in hair, makeup and fashion right now. 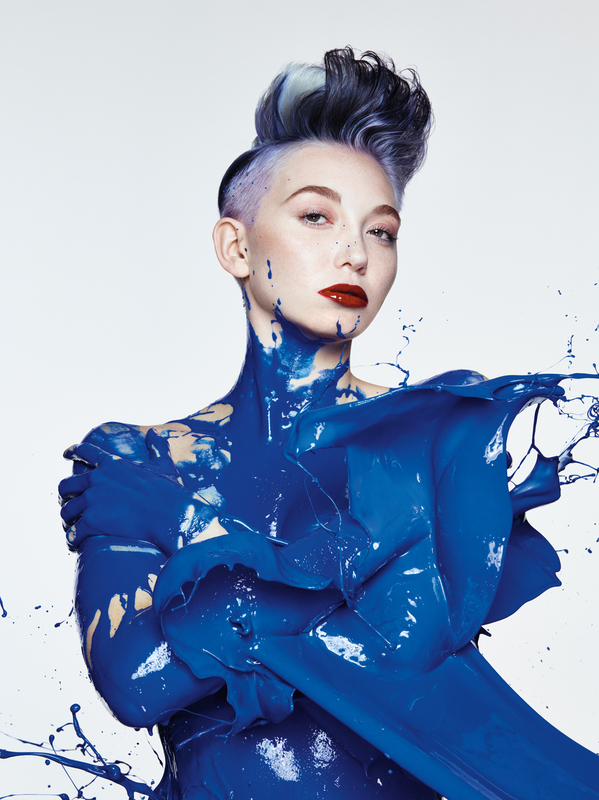 The four cutting techniques were created by Angus Mitchell and Robert Cromeans, including a tribute to the legendary Paul Mitchell—while Lucie Doughty and Mary Cuomo inspire innovation at the Color Bar℠ with four outrageous coloring techniques. The collection uses both the color XG® intensifiers and INKWORKS® to create bold colors that are applied on top of a pre-lightened canvas. The color XG intensifiers are a mixture of oxidative and direct-dye components and have a number of uses. Traditionally, they are mixed in small increments with other the color XG formulas to create more intensity or neutralization, but in this particular collection they are mixed by themselves with 10 Volume Cream Developer to offer a more pigmented version. 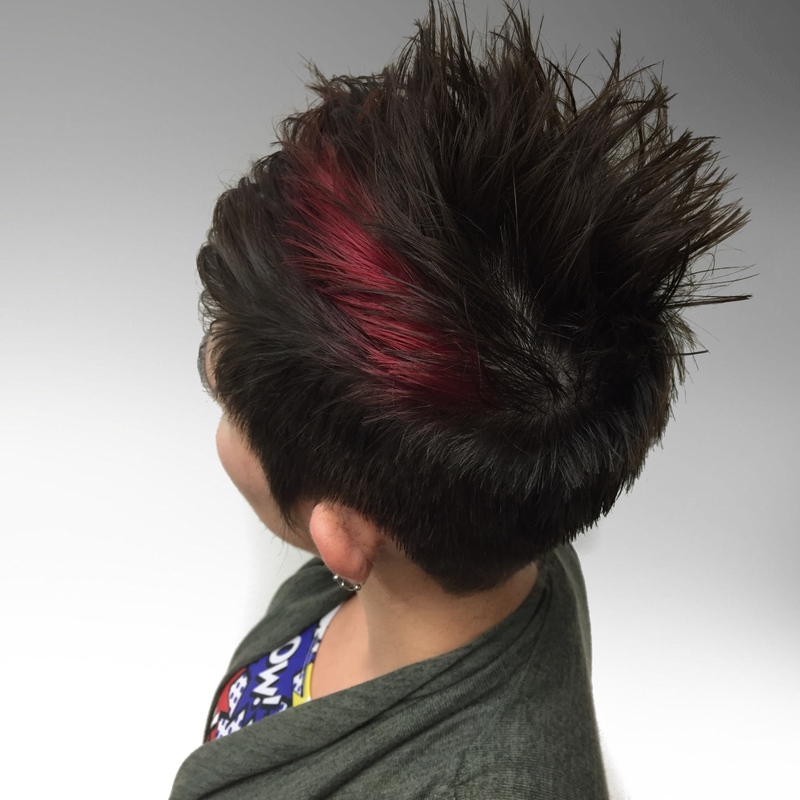 INKWORKS are semi-permanent colors that are applied directly to pre-lightened hair and provide vivid, vibrant results. They are completely intermixable for unlimited creativity. If you are interested in learning more about the placement or products used in these stunning looks, the For Art’s Sake collection is available as part of our in-salon education program. 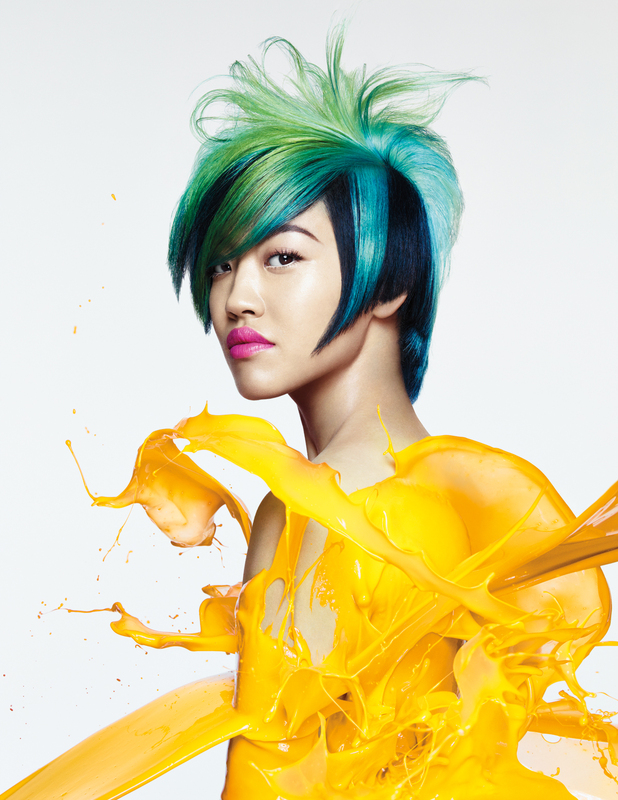 Contact your distributor to book a For Art’s Sake cut and color collection class now. Every now and then, it’s beneficial to revisit even the most basic salon tasks to ensure you are providing your guests with the highest level of service. Here I am detailing 3 tips for better highlights. Take your time when sectioning. Think of your sectioning as your roadmap to success. Take your time in mapping out your highlight placement. Making sure your sections have clean lines will result in a neater foil placement and highlights that are easy to find and retouch in 8 weeks. Make sure your sections are no wider than the width of your foil to ensure that you won’t have lightener coming out of the sides of your foils and getting onto hair that doesn’t need to be highlighted. Put the appropriate amount of hair in each foil. The correct amount of hair for each foil will vary slightly depending on the thickness and texture, but as a general rule of thumb, you should be able to see through your section. Putting too much hair in a foil can result in uneven saturation as well as lightener leaking out of the top of your foil and creating spots on the hair directly underneath. If a thicker highlight is desired, place 2 foils (with the correct amount of hair in them) right next to one another, with no hair in between rather than putting too much hair in one foil. Start with a low volume developer and mix with a higher level for better control. When highlighting hair, the lightener controls how much lift you get and the developer controls how quickly you get there. By starting with a small bowl of lower volume lightener, you are able to control the amount of lift that is being created and stop it when it’s at your target level. Remixing with a higher level developer will allow the speed of lift in your last few foils to be consistent with the lift in your first few, resulting in a more even highlight. Highlighting still remains one of the top salon services all over the world and these tips have helped me and many salons that I visit achieve more beautiful consistent highlights. I hope they do the same for you! 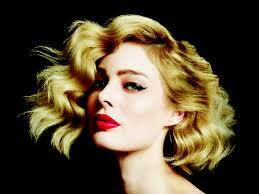 Browse the vast collection of Paul Mitchell Professional Hair Color products here. As a child of the 90s, the part of my family beach vacations that I always looked forward to the most was going to a little, beachside booth with spools of thread in every color to get the perfect hair wrap. My cousin and I would design the perfect combination of colors and patterns. And if we were really lucky, we might even get a bead or two! Hers would always be very simple and mine would be incredibly intricate—I was very particular about making sure that my stylist got the placement just right. Because of my love for these fun pieces of hair art, imagine my excitement when I recently discovered a new trend called hair tapestry. 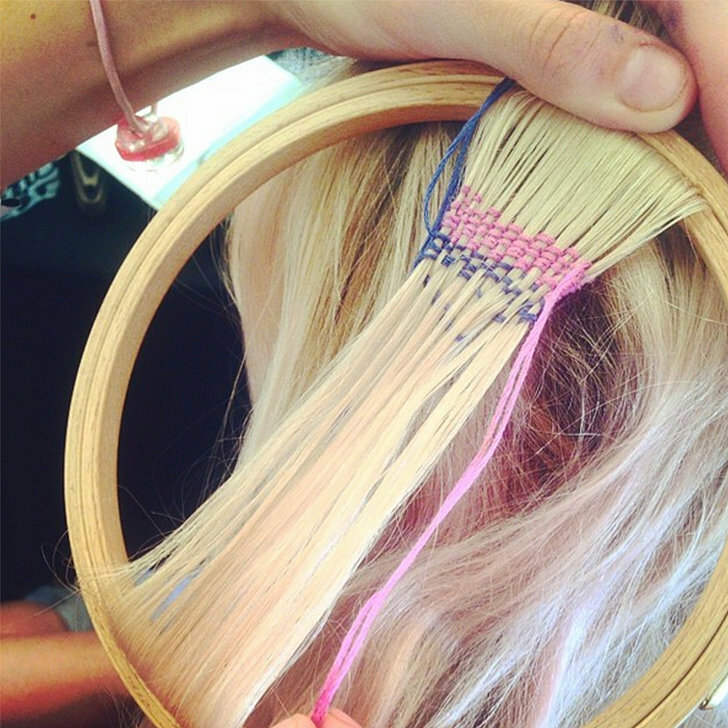 Hair tapestries are similar to wraps in that they are colored pieces of thread decorating your hair but instead of just wrapping one small section of hair, these intricate pieces are typically created with embroidery hoops and needles. They come in all shapes and sizes and can be as unique as the person wearing them. Personally, I can’t wait to get my hands (and my hair) onto this new trend! What are your thoughts? 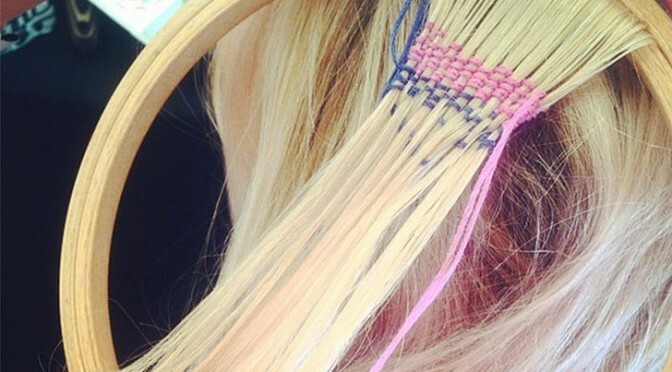 Do you plan to offer hair tapestry as a service in your salon? There has been a shift in the fashion and beauty industries towards embracing natural beauty—posting un-retouched photos for the world to see, wearing minimal (if any) makeup and letting grey hair see the light has become more normal and acceptable by industry standards. What does this mean for us stylists behind the chair that have made a living covering grey? How can we embrace this movement while still keeping our guests chemically dependent? My favorite way to transition guests from full grey coverage to a more natural state is by re-creating their Paul Mitchell® the color or the color XG® formulation and using low-lights instead of all over color. This allows for a gradual change rather than a harsh line of demarcation. Another option is creating a formula for them using PM SHINES® or SHINES XG® and applying it all over. Both of these color lines create a grey blend rather than solid coverage. SHINES XG offers a more optimal blend and PM SHINES offers more translucent coverage. I also love using PM SHINES Clear Shine after their grey is grown out. It adds condition and shine with no color deposit. For my guests that have minimal to no grey and want to grow their natural color out, hand painting is my go-to technique to add customized dimension to a canvas that could otherwise begin to lose it’s luster. Overall, this change in beauty standards is doing amazing things for positive body image, so why would fight that? After all it is our job to keep our guests looking and feeling beautiful!